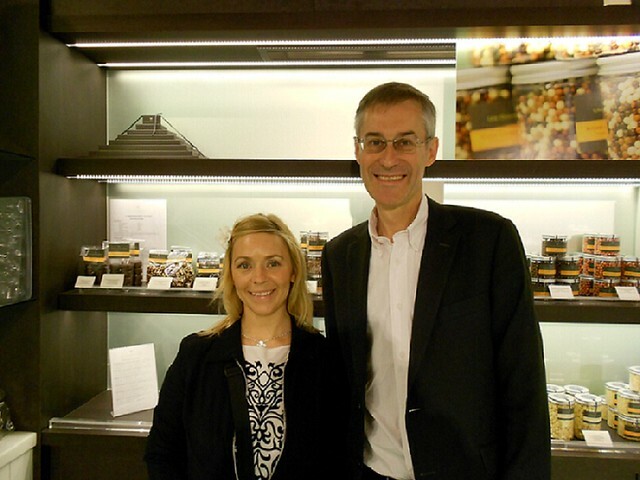 First stop on the tour a visit to La Maison Kayser. 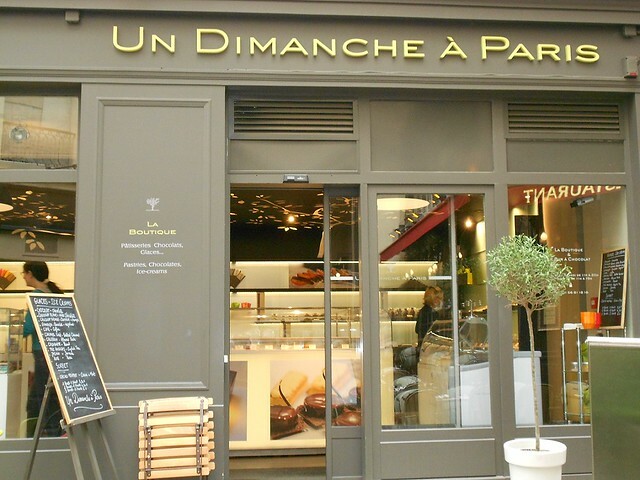 A premiere artisan boulangerie with over 15 locations in Paris and many locations worldwide. Just an inch inside of the door, you are overcome by the scent of freshly baked bread. Rows of the crusty specimens of all shapes, colors and sizes are displayed on the wall like artwork, and it truly is! The cases are filled with croissants, pain au chocolat and many more lovely treats both sweet and savory. 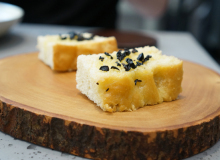 Only top quality flours are used here and close attention to hand kneading and shaping onsite are key, in addition to a long fermentation process. The result is bread with firmness and aroma worthy of eating! A simple baguette requires 12 hours of attention. This is why it has been voted the #1 Baguette in Paris. These breads are some of the finest in all of Paris. Trust me; I’ve eaten a lot of bread! 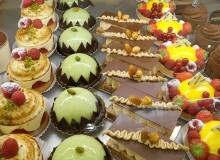 They offer over 60 different artisanal breads, 50 types of cakes and 25 varieties of pâtisseries. I just wanted to pitch a tent and never leave! Suitable for all types of diets, just ask the staff. 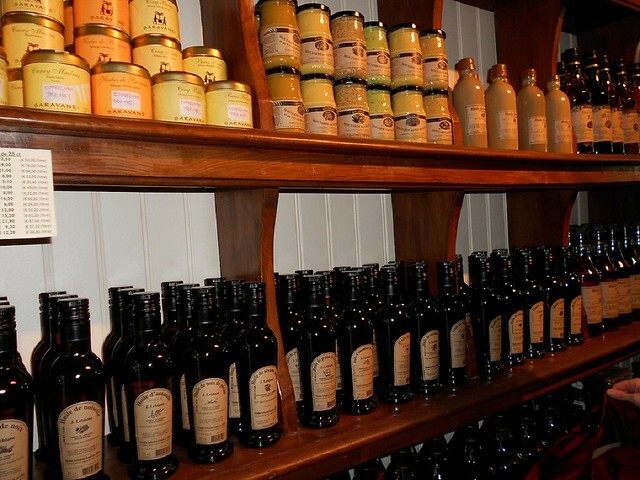 A shop that sells artisanal nut, seed and fruit oils made using a 19th century mill located in Burgundy. This mill has pressed nut, seed and fruit oils since 1878! This is a very small and intimate shop that smells of the fresh Savon De Marseille Olive Oil Soaps that sit on the shelf in big blocks when you walk in. A wall is lined with dark colored, rustically shaped and labeled bottles, which are filled with the most incredible nut, fruit and seed oils. We tasted three varieties: hazelnut, pine nut and walnut. I personally fell in love with the Pine Nut Oil. I have never tasted such a smooth and sophisticated Pine Nut Oil that has a truly authentic flavor. All of them were so unique in flavor, perfume and color. 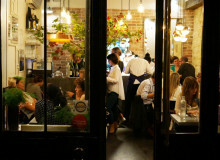 Chefs and gastronomy lovers are not the only ones with access to these gems! They also offer vinegars and mustards. 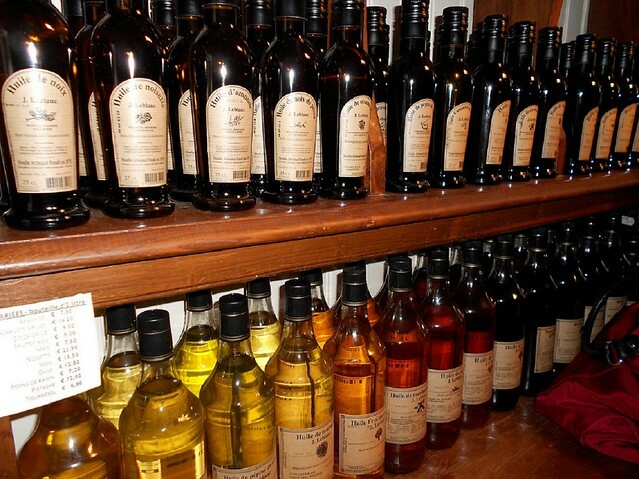 The staff members will give you the history of the company and walk you through a tasting to find your new favorite. If you’ve never tasted true artisanal oils, than you owe it to yourself to try some. There is something for everyone here. It is an absolute must visit! Who is ready for a premier chocolate concept palace that will blow your mind? ME!! This gorgeous space houses a modern, sophisticated, multi-level restaurant, boutique, bar, lounge and private dining areas that ALL feature chocolate. 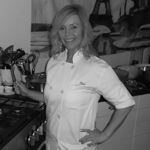 If that is not enough, they even offer chocolate culinary classes in a state of the art, spotless kitchen. There is even a large window inside the prep area, where you can watch the chefs in action. I feel a chocolate coma coming on already! I was lucky enough to meet Pierre Cluizel, the owner and mastermind of this grand concept. He explained that they could host any event and they custom make menus for business or pleasure. All of the courses and cocktails on the menu feature chocolate. Mr. Cluizel was happy to meet with us, answer all of my questions and take pictures (all between doing his television interview). A true gentleman and a chocolate genius! Don’t be intimidated by the “Cartier” appearance of this place, the staff members are very knowledgeable and friendly. You can purchase one small square of exquisite dark chocolate or a whole basket. They also make “works of art” pastries, ice creams, macaroons and a spiced hot chocolate to D.I.E for. One little gift box from here looks like it could have diamonds inside, and that may be the case for some chocolate addicts! It is a treat for all five senses for sure. Vegans will need to ask about options here, but for lacto-vegetarians and everyone else, you are all home free! 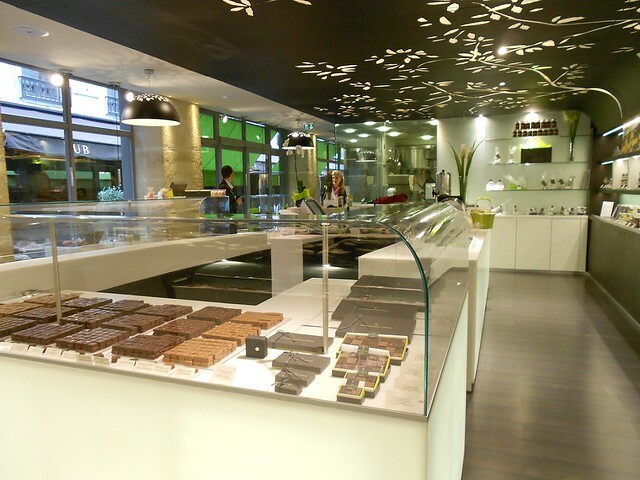 Run-don’t walk to this place to get your chocolate fix on so many levels! 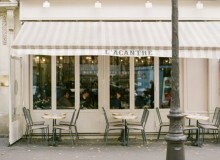 You can read Flavors of Paris Gastronomy Tour – 2.